Are you looking to create, measure and leverage paid advertisements for your Inbound Marketing campaigns? 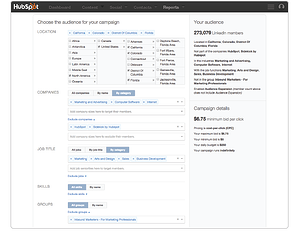 Well you’re in luck, you can now create search and social advertisement campaigns without leaving the HubSpot portal, giving you a unique, closed loop view of your advertising ROI with the simplicity you know and love from HubSpot. Did you know that more than 53% of HubSpot customers have tried paid ads this year? We’ve seen many examples of clients using advertising platforms that allow you to see how many impressions your advertisement received, how many clicks you received, or maybe even how many conversions were created (after a few setup tweaks!) However wouldn’t it be cool if you could see how many of those conversions turned into Marketing Qualified Leads (MQLs), Sales Qualified Leads (SQLs) and eventually customers? Giving you the full picture from first interaction through to a sale! Not only this, but there’s also potential for you to tie this into your CRM – enabling you to see how much revenue has been returned from that initial advertisement campaign spend. This HubSpot add-on now provides the easiest way to create, measure and harness paid media for Inbound Marketing campaigns. Back to our stat, stating that 53% of HubSpot customers have tried paid ads this year. We know that getting started with Pay-per-click (PPC) and social ads is not easy. It takes a while to understand the software, which for some is daunting and intimidating, and most people don’t know how to tell if it’s actually working and producing measurable results. It’s very hard to connect the dots to actual faces and numbers of customers the advertisement campaigns generate. You may also be concentrating on the wrong metrics – do you consider the cost per click (CPC) click through rates (CTR) and cost per acquisition (CPA)? What is what and what should you focus on? 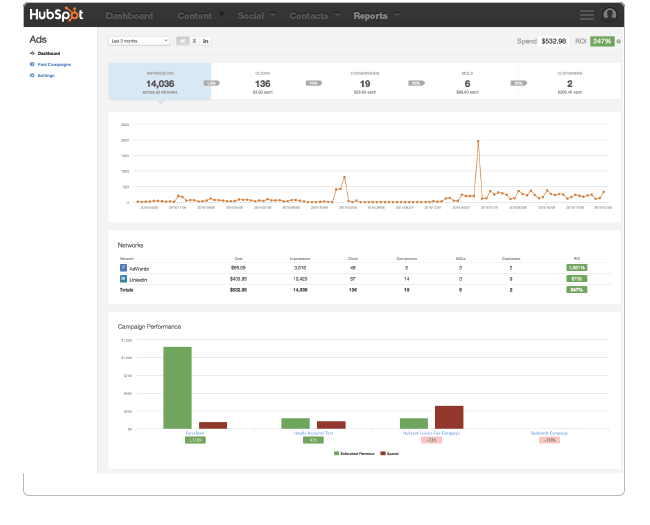 HubSpot’s add-on has been created to make it easier for you to create paid advertising campaigns, using the interface you know, love and are comfortable with.